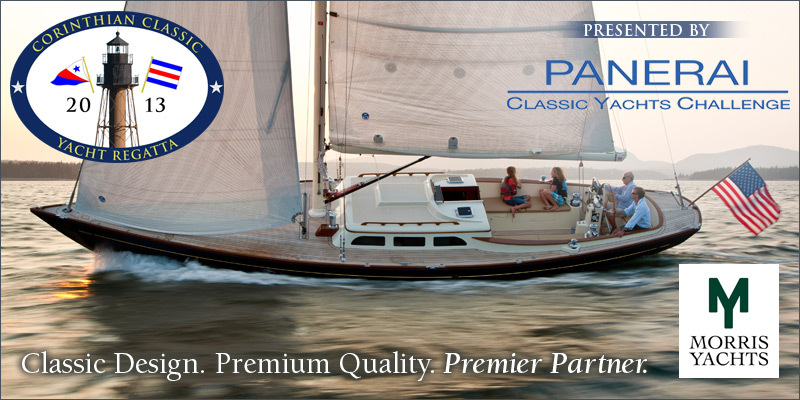 The Corinthian Classic Yacht Regatta - presented by Panerai Officine - is proud to announce the inclusion of Morris Yachts as a partner and new "family" member to our 2013 event. Morris Yachts, America's premier sailboat builder, has brought "Spirit of Tradition" design and sailing to the forefront with their M-Series Yachts designed in partnership with the masters of some of the world's most famous "Classic" yachts - Sparkman & Stephens, and the classic and traditional qualities of the Ocean Series designed by Chuck Paine. Described as "the nautical equivalent of a Stradivarius" by Yachting World Magazine, the M-Series yachts with their long overhangs, breathtaking lines and elegant charm are the perfect marriage of timeless classic design, modern performance innovations and flawless Morris heirloom quality. We will all have an opportunity to view the M-Series and Ocean Series up close on the water and at the Corinthian Yacht Club dock. The M-Series consists of the 29, 36, 42, the brand new 46 and the 52. Whether sailing with the family or a singlehanded day out, sailing couldn't get any easier or more fun than on the M-Series boats. With their self-tacking jibs and control lines led aft to the helmsman, these boats are designed to help sailors make the most of your precious time on the water.